I am so ready for the warmer weather and here is the first piece of a new outfit I have in the works. 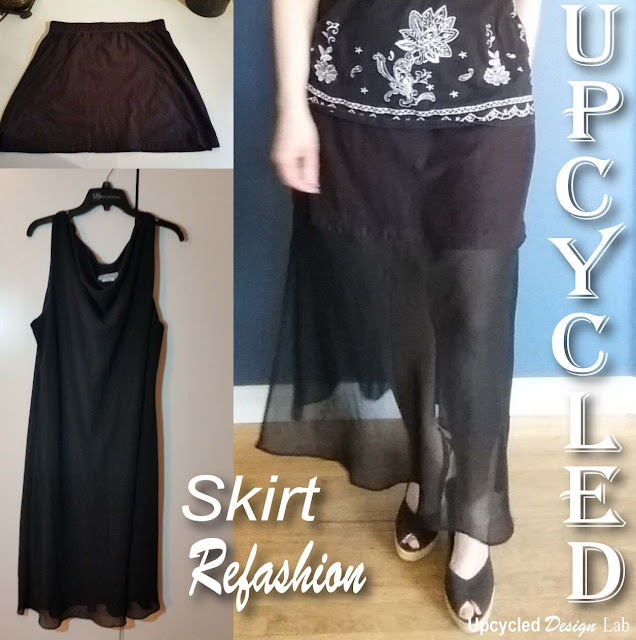 I used some chiffon from the bottom of the black dress but a couple of square scarves would work for this refashion as well. You can fin more photos here. That makes a striking skirt. I can imagine it working well in bright colours too.